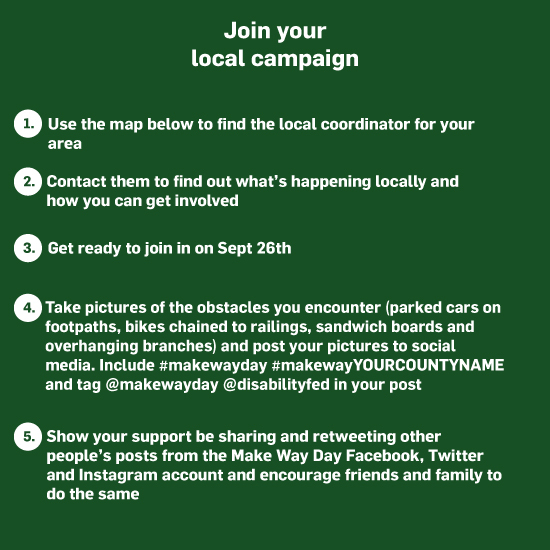 Make Way Day 2018 marks the first time 17 local authorities come together with the disability community to campaign for the rights of people with disabilities. 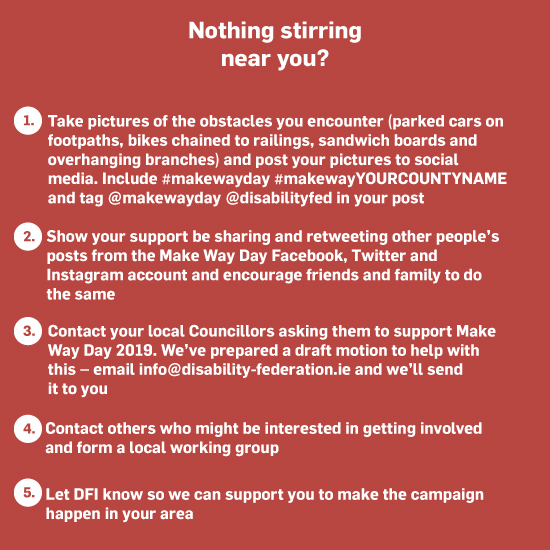 Make Way Day comes to the street where you live with the support of these local authorities. You can follow your local campaign by using the hashtags # and handles @ of your area. For example #MakeWayGalway, #MakeWayDLR. 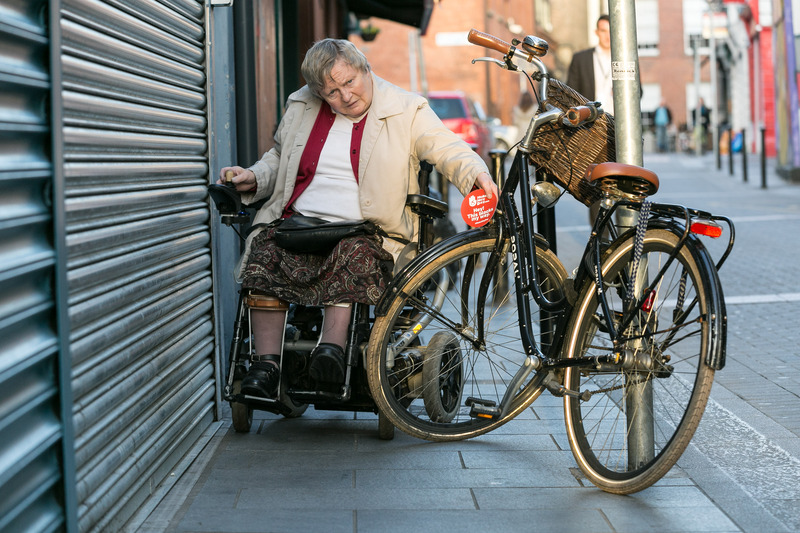 Irish Wheelchair Association and Enable Ireland. We also salute Fighting Blindness, Polio Survivors Ireland, Headway Ireland, The Reputations Agency, Monaghan Integrated Development and Offaly Local Development Company for their support.